Getting new DVD’s in the mail is so much fun! It means a different workout you have never tried, ideas for classes, and an at-home option for next time you feel like skipping the gym. 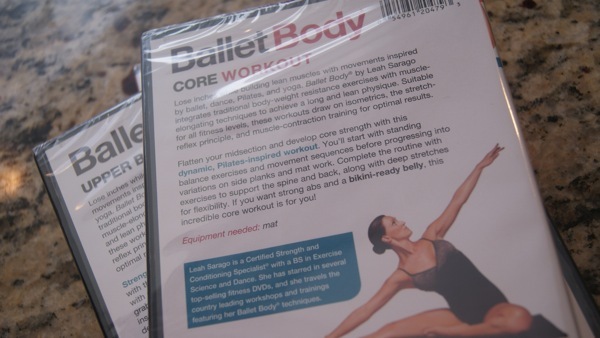 I was especially excited to try these Ballet Body DVDs I was recently sent because I have been very interested in Ballet Body Fitness/Barre/Pilates, etc. These workouts required only small hand weights and a chair to act as a ballet barre. The idea behind them is to lengthen and strengthen your muscles to give you a lean and toned look. The workouts were challenging and featured some great moves that I had not tried before. 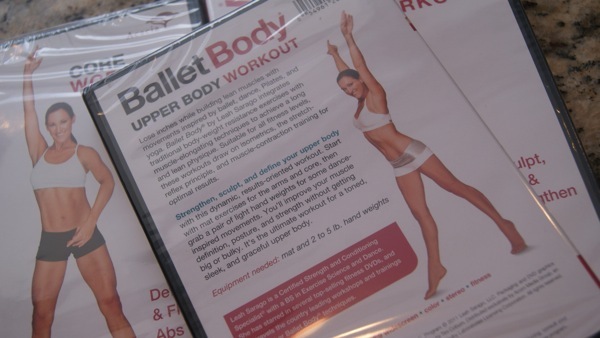 Ballet Body™ creator: Certified Strength and Conditioning Specialist® LEAH SARAGO created the ballet-inspired Ballet Body workout series, featuring April’s Upper Body Workout, Lower Body Workout, and Core Workout. She has a BS in Exercise Science and Dance, has starred in several top-selling fitness DVDs, trained top NFL draft picks, and travels the country leading workshops and trainings featuring her Ballet Body™ techniques. The Director of D1′s NFL Combine for top draft picks in 2010 said, “Leah’s knowledge in the field is second to none! When you have the responsibility of athletes’ careers, who if their draft stock drops they can lose millions of dollars, I put my trust in her. Our athletes recovered from three workouts per day more efficiently and their overall athletic ability was increased with fluidity of movement and range of motion. She is the best!” You can also read a dozen rave testimonials on her website. Ballet Body series readily available upon request. I had my exercise assistant by my side working out with me. 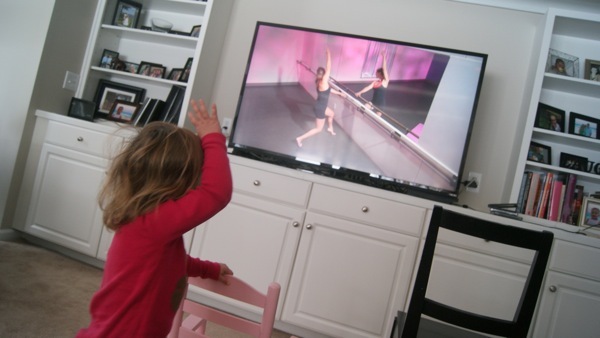 She was impressed with how the moves flowed well together. I was impressed with her ability to follow along for so long.